Considering the enormous changes your body is going through during pregnancy, it’s no wonder you may be experiencing body aches and pains. There is typically no need for alarm, since these pains are a sign that your body is working to accommodate both your needs and those of your baby. Learn these essential tips for relieving your body aches and pains during pregnancy. Lower back pain. Many women find relief by wearing a maternity girdle or support belt. This helps support your back muscles and eases the tension caused by increased strain. Headaches. Pregnant women should avoid aspirin and ibuprofen, but you can typically relieve headache pain safely by taking acetaminophen. If your headaches are especially severe, consult a medical professional regarding pain medication that is safe for you and your baby. Hemorrhoids. Ice packs and cold compresses of witch hazel can bring relief for hemorrhoids. You can also try soaking your bottom in warm water several times a day. Heartburn. Chewing gum after eating can help neutralize stomach acid. You can also try using over-the-counter antacids that contain magnesium or calcium. Check with your prenatal healthcare provider before taking any medications. Leg cramps. Stretching your calf muscles may hurt at first, but it will ease any muscle spasms and will eventually lessen the pain of your cramps. Round ligament pain. Brief, stabbing pain in the lower abdomen or groin can be relieved by sitting down and bringing your knees to your abdomen. A warm bath can also help relieve some of these stomach pains. Carpal tunnel syndrome. Carpal tunnel causes tingling and numbness in the hands. Shaking your hands can help relieve the numbness, and wearing a wrist brace at night can help prevent further pain. You should seek medical attention if your general body aches are accompanied by other symptoms such as a rash, fever, or sore throat. 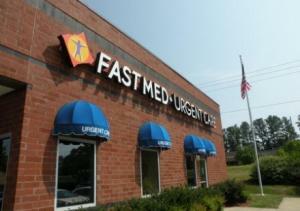 If you have concerns about any of your body aches and pains, FastMed Urgent Care is here to help. We are open seven days a week and have extended weekday hours for your convenience. Be sure to check with your local FastMed Urgent Care for holiday hours. Our medical professionals can help you understand why your body feels the way it does, and we can recommend remedies to make you more comfortable while you await the birth of your child. You never need an appointment at FastMed. You can bring your body aches and pains to us at any point in your pregnancy. Check out our Health Resources Center for all of your health questions, and like us on Facebook to find out more about FastMed Urgent Care in your community.